Before you process billing on your selected bill date it’s a good practice to check on Customer Warnings daily or weekly. In the Data Entry main window click View and select Customer List: With Warnings. This will list all the customers who have some issue with their EFT memberships. You must correct these warnings before you post dues, or you will not collect EFT membership dues from those members with warnings. After correcting the warnings, you can then process billing on your selected billing date. Click the Post Dues button. Select the billing date. This will find anyone with dues on or before this date. Click the Preview button to display the customers. Click the Post These Invoices button. On the pop up window click yes. The invoices will now be posted to the Balance Due tab and the next billing date will be moved forward according to your billing cycle. Click the Bill All Customers button to bill all customers with outstanding dues. Bill your credit cards first, then your ACH members. Rock Gym Pro will process the transactions. Successful transactions are listed under Billed – OK column and the declines are listed under the Declined column. If you are using ACH, the declines will appear after your ACH batch has settled. This settlement usually takes 3-7 business days. If you are using ACH (checking and/or savings accounts) then you need to open the Billing window a few days after to download your ACH responses. Once the ACH responses are downloaded the amount will show up in your Z-out for the day. ACH responses usually take about 3-5 business days, but you have to open the Billing window to download responses. Note: You can view your billing amount prior to your billing date, but you cannot post the dues prior to your billing date. 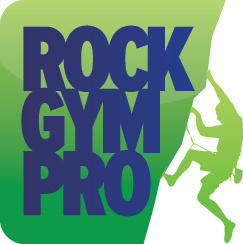 Rock Gym Pro recommends you bill on your billing date, regardless if it is a weekend or holiday. Posting dues after your billing date can affect freezes/unfreezes. However, if you chose to bill after your date has passed your staff would need to know that if they unfreeze anyone on the Billing day and collected prorated dues, they need to manually move the next bill date for the customer to the following month. Alternatively, you can also look for anyone who was unfrozen on your bill date and adjust their next bill date.